Each day just gets better and better. I wrote to my friend who was out looking for right whales today, and I said I was hoping to see Nile today. 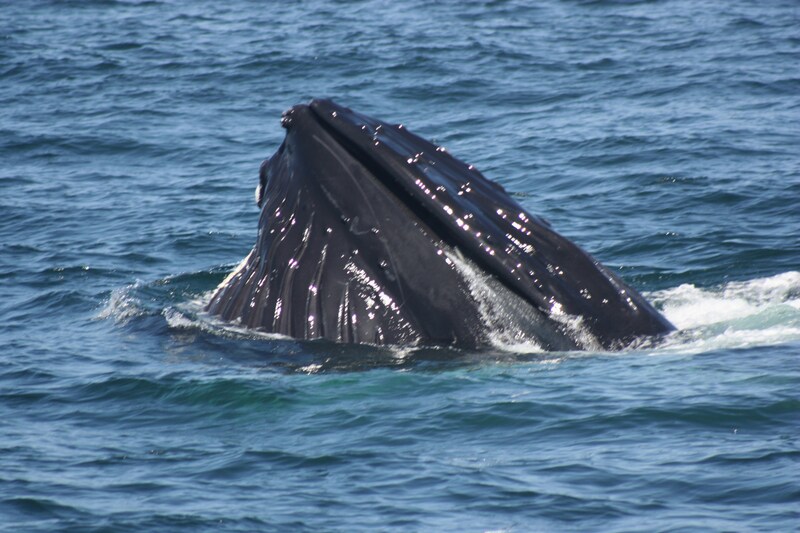 Sure enough, about four miles from the Gloucester harbor, we saw her. 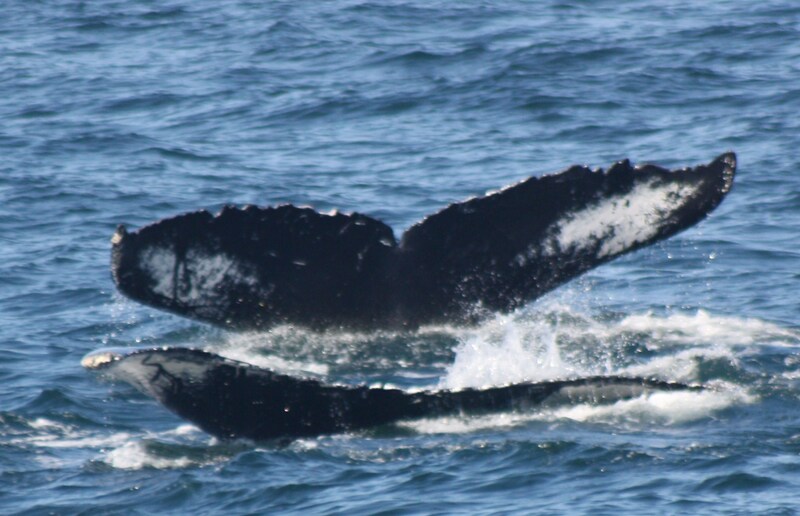 There were three whales: Measles (first sighted ’02), Gunslinger (first sighted ’01) and Nile (born in 1987 to Mars). What a treat–they were feeding probably on herring. We saw a few fish jump up and they looked like small herring. The whales were using a bubble cloud and then coming up in the middle of it! At one point all three came up. I was too busy screaming about what an amazing look to get a picture, but here is one of two of them coming up! I’m pretty sure the one closest to us is Nile. If you don’t know, I had a life-sized inflatable whale made last year to take into schools, and I had it modeled off of Nile. Here is a link to the website if you know anyone interested in having a large whale visit their school 🙂 www.TheWhalemobile.com. It’s always exciting for me to go out on the water and actually see her. 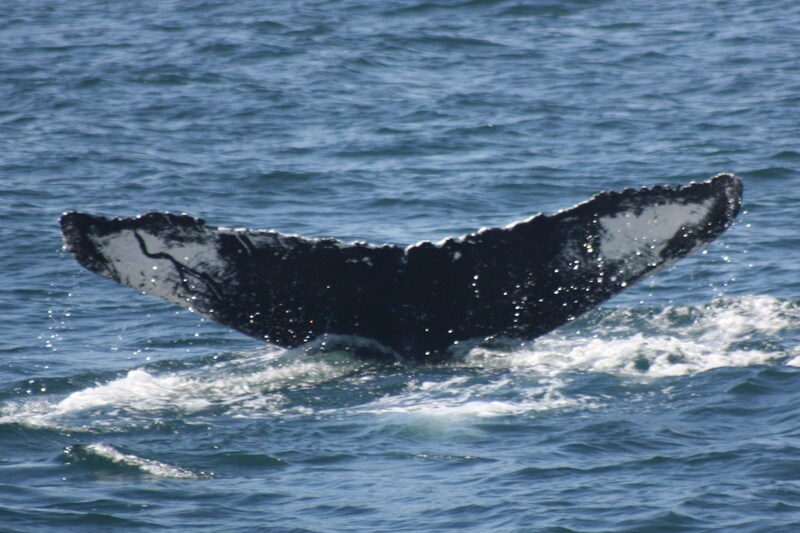 She is one of my favorite whales and I have seen her almost every single year I have been whale watching–since 1994!! 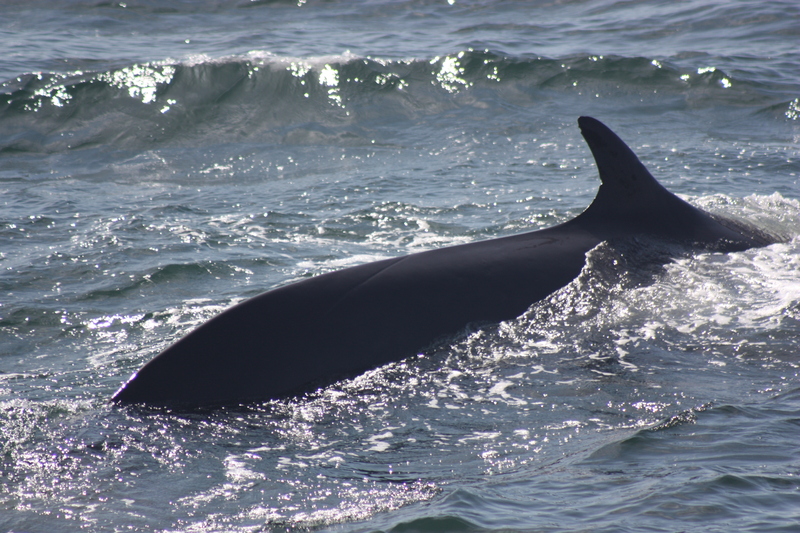 We then moved off the humpbacks and watched a fin whale for a little bit. I got one picture of the tail stock that looks like this animal was perhaps once entangled in fishing gear. There is a faint scar along it’s tail stock. 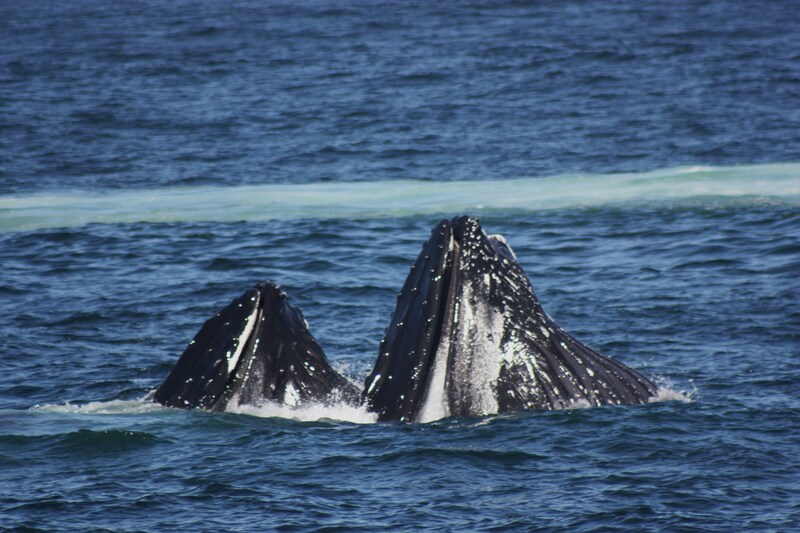 We finished looking at the three humpbacks when another whale surfaced that we hadn’t seen yet. It was a whale named Vault (Born in 2008 to Cajun). Today was truly a beautiful day out there ! Next trip is next Saturday. Laura’s first trip of the year–can’t wait to hear about it!! !